Diabetes affects children and adults alike and a significant percentage of the total human population suffers from this condition. Depending on which stage of diabetes he has, a patient may appear healthy or he may be frail and needs assistance. As a family member who will take care of your elderly diabetic, you need to make an assessment regarding his living conditions. 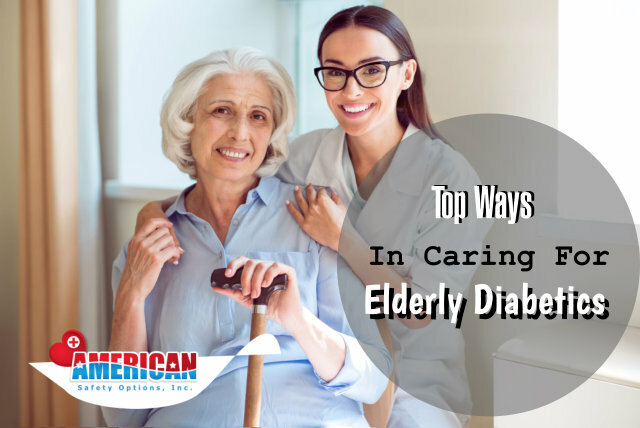 Before you engage the diabetes care service that a Home Health Agency in Newtown Square Pennsylvania provides, you should first talk with the elderly as early as possible. An elderly diabetic follows a certain regimen to manage his diabetes on a daily basis. He may be doing self-care steps or a health care provider could be assisting him. Whatever the case may be, you need to know such regimen. In this manner, you will also be able to note any change that may take place in the future. Such change can affect how and where your elderly will live, as well as his finances. As people age, there are bodily changes that happen gradually. You might not be able to immediately notice these changes in your elderly. These changes, especially on the physical and emotional aspects, can affect the ability of the senior citizen to take care of himself. Once you notice these changes, it is best to engage him in a discussion for you to both create a solution to the situation together. You should concentrate on just simplifying everything when it comes to the medication of your elderly. If the medication he has been taking for quite a while now works, then, no matter how many new medications become available in the market, you should still stick with his current medication. Most of the time, senior citizens just keep their emotions to themselves. They do not talk about what they are feeling which is why they may suffer from depression. You should always observe his mental and emotional health. You might want to discuss with his physician about any change in his behavior to determine what causes such change and how to go about it. As someone who loves the patient, it is definitely normal to show him that you care. However, you should not pressure him as it can only worsen his health and damage the relationship that you both have. When managing diabetes, the elderly might want to just take a break, especially if diabetes management is tight. Caring for elderly diabetic patients is one of our best suits here in American Safety Options, Inc. Contact us for your diabetic care needs today!